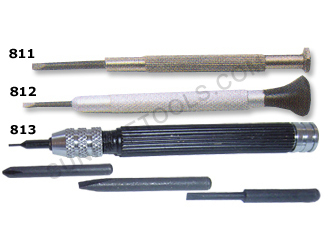 Description :-These compact and handy screwdrivers are used for watch repair, small electronics, eyeglass repair, etc. 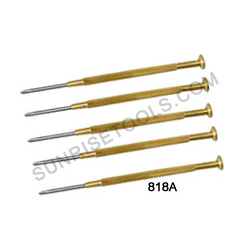 Helps you to tighten or loosen small screws and also get into small areas. 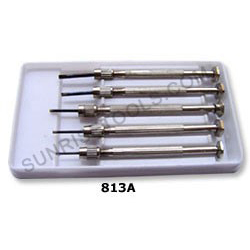 812 Screw driver for opticians and clock maker with plastic knobs, total length 4 1/4"
Description :- This screw driver extensively used by watch makers and opticians. 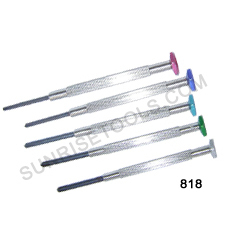 Description :-This watchmaker's screw driver kit contains a very popular series of screwdrivers that feature color-coded hex heads and are used for watch repair, small electronics, eyeglass repair etc. Blades are tempered and finely ground to exact specifications. 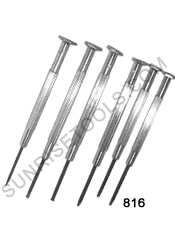 Description :-This premium quality Screw Drivers (set of 5) Set philip type packed in plastic pouches manufactured using superior quality raw material and is highly resistant to corrosion. 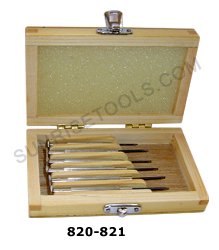 Ideal for watch repair, small electronics, eyeglass repair etc. 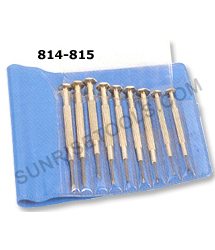 Description :- Screw Driver Set of 5 Philip Type in Plastic Pouch Economy, which is offered in varied sizes. 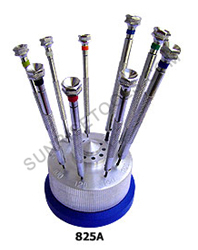 This screw driver is easy to keep and is provided with plastic pouches offered with screw driver. 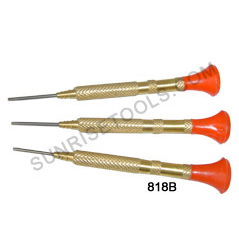 Description :-This screw driver set (set of 3) is ideal for mending and repairing of mobile and computers. Made from high quality material for long life and durable. 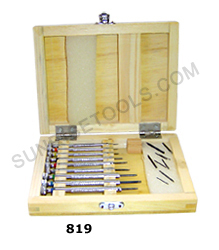 Description :-This is a must have tool set for watchmakers, watch collectors, eye glasses repair, hobbyist, model makers & more. 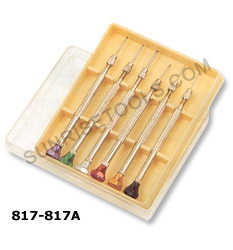 Our range of driver set is mostly used in optician shops and watch making shops. 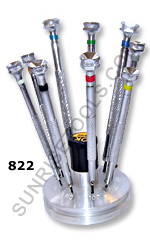 Fine quality and precision made screwdriver set of 9 On Fixed Stand With Spare Blades. 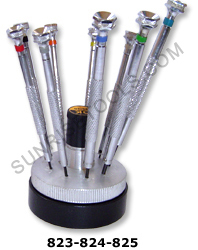 Description :- This miniature straight blade screw driver set complete on a convenient rotating stand keeping your screwdrivers organized and available - with extra replacement blades.